There are different Camarines Norte festivals celebrated almost all-year round starting with the Pabirik Festival from January 27 to February 2 up to the Rahugan Festival which is celebrated from October 17 to 24. The Philippine festivals are one of the reasons why locals and foreigners choose the Philippines as their tourist destination. 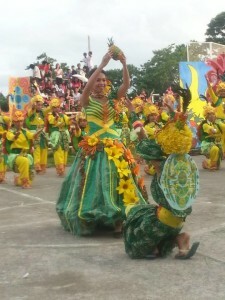 Other Camarines Norte festivals are the Pinyahan Festival in Daet, the Bantayog Festival, the Palong Festival of Capalonga, the Mercedes Kadagatan Festival in Mercedes, Busig-on Festival of Labo, Mambulawan Festival in Jose Panganiban, and the Bagasbas Beach International Eco-Arts Festival also in Daet. The Bantayog Festival is a historical commemorating festival in Camarines Norte that features the first Rizal monument which is also the centerpiece of the celebration held simultaneous with the foundation anniversary of the province. The Busign-on festival is based on the epic of the hero Busig-on who hails from Labo town and also of Bicolano values. The festival is a showcase of talent and skills in a competitive manner while showing the town’s places of interest and featuring the town’s unique historical values. Mambulawan festival coincides with the Feast of Our Lady of the Most Holy Rosary. Annual Bagasbas Beach International Eco-Arts Festival features art as an inter-cultural linkage with artists and the community. It showcases art exhibit to promote environmentally-friendly art production. For any travel inquiry or issues encountered, you can contact the local tourism office.